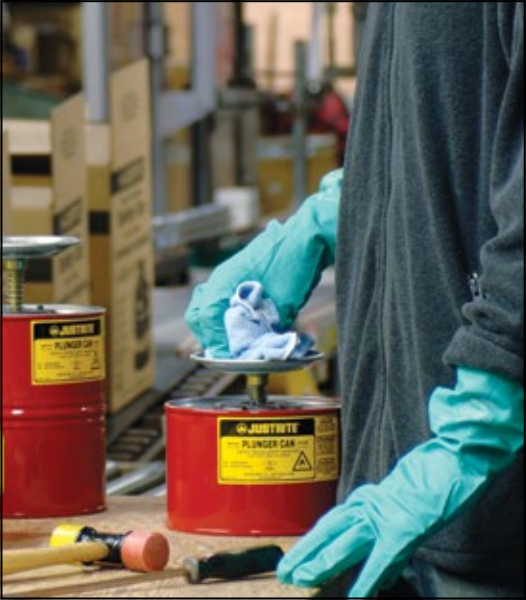 Envirosafe Ireland provide Safety Plunger Cans which easily dispense flammable liquids and solvents safely, without waste or exposure. Made of chemically resistant Ryton and brass, the pump base is designed to leave less liquid in the bottom before having to refill. Pushing down on the pump assembly fills the upper pan with liquid. Surplus liquid drains safely back into reservoir. The perforated upper pan serves as a flame arrester. Top rim has molded edge protector for smooth, trouble-free moistening.